Comes with Guage perfect for bicycle carbon parts 1/4'' Torque Fix Set, Torque range: 2-24 NM Tolerance in : Accuracy +/- 4% Allen Keys 3 /4 / 5 / 6 / 8 / 10 mm, plus 5mm Longer Allen Key for easy use T25 and T30 Torques High quality. Great for bicycle parts or bolts. (Note: please do not try to use cheap quality tools, they will damage the parts) Made in Taiwan Warranty: One year Note: Stop turning when you feel a "click". "Click" means the torque has reached preset value. The Performance Tool M195 features a Pointed, hard spring steel beam that gives precise readings while resisting bending; Torque measurements calibrated in SAE & Metric; Deflection beam torque wrenches do not wear or fatigue over the lifetime of the tool insuring increased accuracy; 60in/lbs. 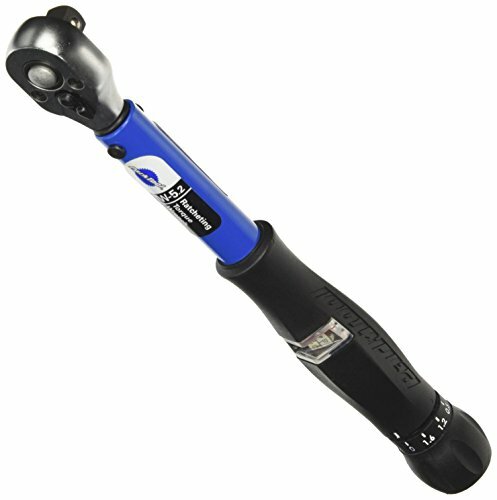 Maximum Torque; 0-80 Working Torque; 0-7 Newton meters; Accurate measurements Clockwise or Counterclockwise; Corrosion Resistant; High-Contrast Dual Range Scale (Easy to read in low light); Can be used for rear differential, gunsmithing, and preload on pinion bearings where a click type torque wrench won't cut it. Also use it while tightening seat post clamp on carbon fiber bicycles or torqueing plastic intake manifolds. Use the M195 when need to measure break away torque. 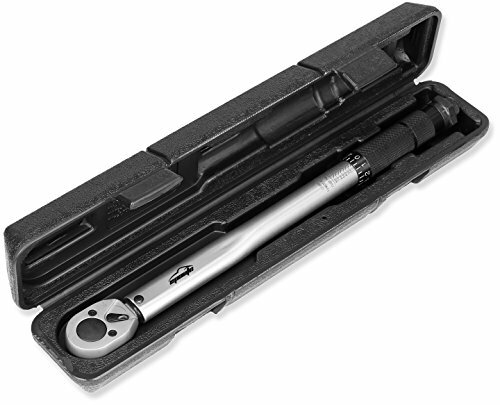 With today's lightweight components, torque wrench use in the shop is no longer an option - it's a must for every mechanic. 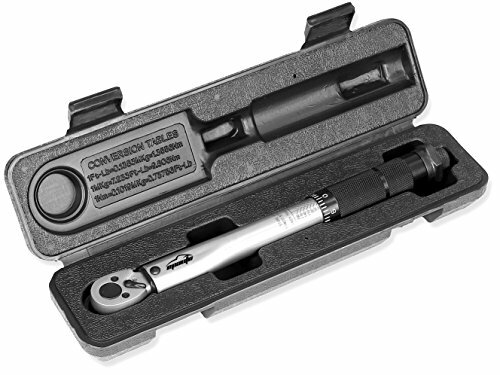 The TW-5.2 is a high quality, ratcheting, click-type torque wrench that accurately measures and applies the proper amount of torque to a component's threaded fastener(s). With a range of 2-14Nm, the TW-5.2 is designed for the lower torque settings that a shop or consumer would use for proper seat post, seat clamp and handlebar / stem applications. Comes with its own protective case. 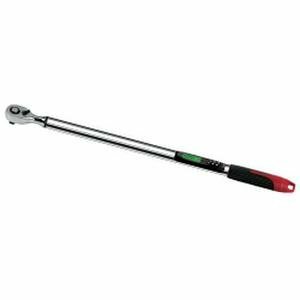 NOTE: Torque wrenches are measuring instruments and are not intended for use as a general-purpose ratcheting driver. Do not exceed 14 Nm when using the TW-5.2. Wright Tool 3479 Micro-Adjustable Torque Wrench, 150-1000"
ACDelco ARM303-4A 1/2" Angle Digital Torque Wrench Performs torque range of 12.5-250.76 ft.lbs or 17 - 340 Nm. 720-degree maximum angle measure. 30 data sets of memory capacity. LCD backlight display that shows reached torque, battery life, measurement mode. Static torque measurement Standard functions: torque setting, measurement setting, mode setting. Operation in both clockwise and counter-clockwise directions, accuracy CW +-1.5%; CCW +- 2.5%. LCD display shows N-m (or kg-cm, in-lb., ft-lb) measurements. LED flashing & vibration / buzzer alarm when under torque or overload. Battery type: 2 x AA. Not included. Tool weight: 3.12 lbs. Overall length: 26-1/3" or 666 mm. [ACDelco Tools] ACDelco power tools are built for people who make a living with their tools, day in and day out, regardless of industry you are in and require reliability. 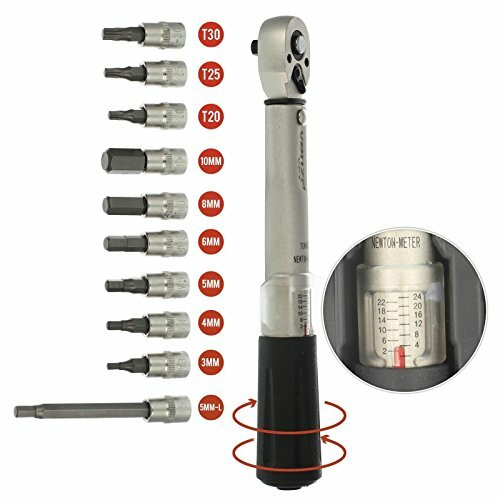 Looking for more Torque Measurement Tools similar ideas? Try to explore these searches: Leathercraft Lacing, Van Tailor Made, and Best Pizza Cutter. Look at latest related video about Torque Measurement Tools. Shopwizion.com is the smartest way for online shopping: compare prices of leading online shops for best deals around the web. 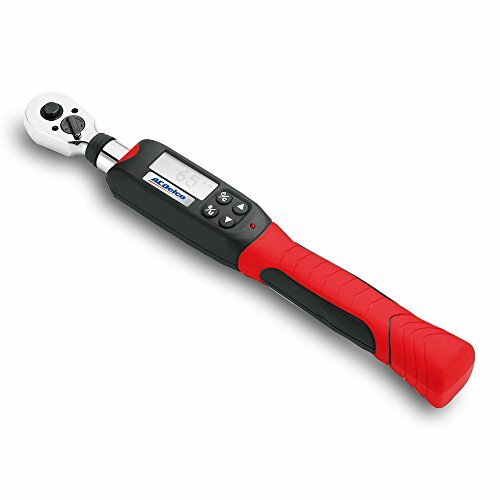 Don't miss TOP Torque Measurement Tools deals, updated daily.